A bit of a bumor heading into the contest is the news that 2012 Rio Pro champ John John Florence will not be competing at contest this year because he's still not fully healed from the ankle injury he suffered at the first event of the season, the Gold Coast contest. Some people had John John as sleeper pick for the title; missing his second contest definitely puts him out of the running for the number 1 spot for this year. But we (and everyone else) can't wait to see John John back out there and ripping it up when he's good and healed. You can watch the Rio Pro live at the event website (just like all the events) and can catch updates and follow whether the contest is on for that day or off and what the waves and weather are doing. What should you do until the Rio Pro fires up? No doubt you should watch the 2012 final day highlights. 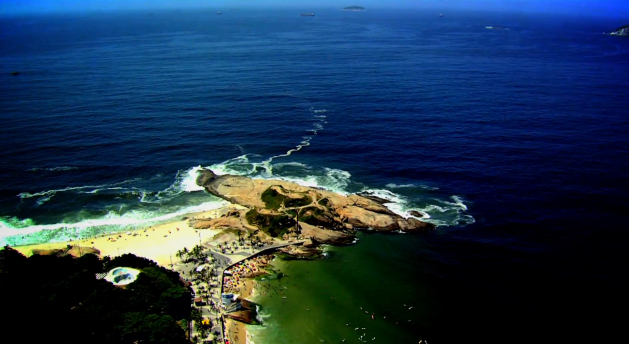 Check out the 2013 Rio Pro Teaser. Read up on the first 2 events of the year: Quik Pro Gold Coast and Rip Curl Pro Bell's Beach. More preview info and a breakdown of the wave they will be surfing. Any predictions on who takes the 2013 Rio Pro - let us know in the comments. Will Slater extend his first place lead on his quest for title 12? Can younger guns Jordy Smith or Nat Young creep up into the top 5 and give some of the Aussie veterans a run for their money?